Many of us know, or have known, the powerful love of a dog or cat. Some of us are hopelessly devoted to our little friends, as evidenced by the numerous postings on Facebook, Twitter and Instagram. That is why it is hard to imagine the loss of our special little family member. And it is even harder to understand how so many of these beautiful creatures are abandoned, abused, neglected or simply unwanted. According to the ASPCA 6.5 million companion animals enter U.S. shelters annually. Many are adopted, but 1.5 million are euthanized every year. 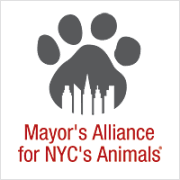 In 2003, Mayor Bloomberg created the Mayor’s Alliance for Animals to facilitate city-wide adoptions in an effort to reduce the need for animal control. A part of this effort was a commitment to aggressive spay-neuter programs, with the ambitious goal of creating a no-kill city by 2008. By May of 2017, the Mayor’s Alliance and partners had saved the lives of more than 300,000 homeless animals. When the Alliance began, only 1 out of 4 pets were saved, by 2017, 9 out of 10 were saved. NYC has one of the lowest euthanasia rates of any major city. This is a great accomplishment, but the dream of a no-kill city is yet to be realized. Toby Kaplan, the inspiration for The Toby Project, photo taken by Liza Margules. 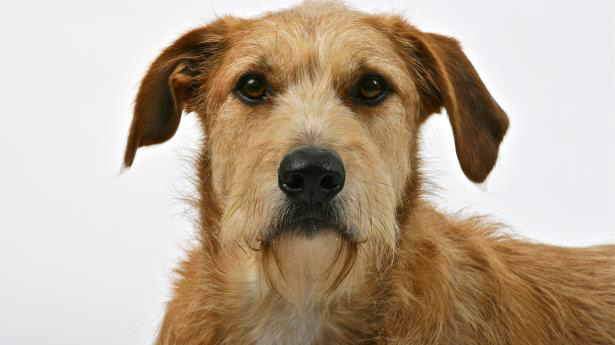 Dr. Kaplan’s inspiration and namesake for The Toby Project was a beautiful Wolfhound-Lab mix he met on an adoption van in 2001. Though marked “unadoptable,” Kaplan advocated to have the dog released into his care and adopted Toby on the day he was scheduled to be euthanized. Knowing that there were many more beautiful dogs and cats who did not get a stay of execution, Kaplan began The Toby Project, which works to reduce the number of unwanted cats and dogs by providing free and low-cost spay/neuter services in communities that have highest rates of animals surrendered to city shelters. Many New Yorker’s love their pets, but some cannot afford to get them spayed or neutered. The Toby project provides this service free to New York City residents on public assistance to reduce the number of unwanted births. Dr. Kaplan faced many obstacles to turn his dream into a fully functioning 501(c)3. As with all non-profits, fundraising was the first and most difficult hurdle. Funds were needed to set up the mobile clinic and pay for skilled staff. Another challenge he faced was convincing area vets that The Toby Project wasn’t going to encroach on their businesses, but would help individuals who could not afford to take their pet to the vet. Spreading the word about their services was the easiest task. This was done by advertising in the local pet stores and laundry mats of the low-income neighborhoods they sought to serve. The Toby Project spay neuter van was launched in 2009, 3 years after its inception. The first surgery was performed by Dr. Jenny Ripka, a vet who is dedicated to working in shelters with the most need. Ripka also happens to be the person who introduced Dr. Kaplan to Toby, who ultimately inspired the creation of the organization. The surgical van goes out 3 days a week with a driver, two vet techs and one vet surgeon. They pride themselves in hiring spay/neuter vets trained for speed, safety and efficiency. Although busy running his practice, Dr. Kaplan occasionally donates his time to fill in as surgeon. All customers must show proof of NYC residency and those seeking free services must show proof of public assistance. The Toby Project offers free spaying and neutering for pit bulls, even if owners are not on public assistance. Dr. Kaplan stated the reason for this exception was because “pit bulls are the number one breed of dog and highest percentage killed in our shelter system.” According to their website, as of December 2018, The Toby Project has spayed or neutered 33,014 animals. If these animals had been allowed to breed, unchecked, they could have produced 405,676,032 offspring in 5 years. The Toby Project also works to reduce the feral cat population. For the past 7 years they have provided free spay/neuter services to other 501(c)3 cat rescue charities, in a stationary clinic in Brooklyn, where they have spayed and neutered over 16,000 cats. They use the method of TNR, Trap-Neuter-Return, in which they humanely trap feral cats, spay or neuter them and return them to the location they were living, thereby reducing the feral cat population. According to the NYC Feral Cat Initiative, there are tens of thousands of stray and feral cats living in outdoor spaces all across the city. Many kind New Yorkers will leave food out for these cats, but they all fend for themselves with minimal human contact. There are many TNR rescuers who are tackling this massive problem with the help of The Toby Project. Non-profits like The Toby Project are an important part of making New York a no-kill community. One of their biggest challenges is raising the money to keep the organization going. Over the years, The Toby Project has raised money by participating in community events, direct mailing, grants, and spay/neuter funding from the New York City Department of Health. The more funding the organization can raise, the more services they can provide. Dr. Kaplan with Toby, photo originally published in New York Magazine. Toby passed away 4 years ago after having a wonderful life with Dr. Kaplan. He was a sweet dog who would roam the offices of City Veterinary Care greeting patients and their people. He was a kind gentle giant and it is inconceivable that he was considered a lost cause. He is greatly missed by not only Dr. Kaplan, but the many people whose lives he touched. Today you can see photographs of Toby hanging in the waiting room of Kaplan’s practice. So, the next time you or anyone you know wants a new pet, please remember the many dogs and cats waiting patiently in shelters for someone to save their lives. Some people feel strongly about adopting a specific breed, but rather than going to a breeder, consider asking a shelter to put you on a waiting list and call you when one is available. If you adopt from a shelter you will get a grateful companion who will love you unconditionally and make your life sweeter. If you aren’t ready to take care of a pet, you can make a difference by donating to The Toby Project at http://www.tobyproject.org/donate so they can continue their important work. You can also follow The Toby Project on social media. On Twitter @TOBYPROJECT and Instagram @thetobyprojectnyc. For detailed information, photos and updates on the incredible work they do, visit facebook.com/thetobyproject. Below are links to the organizations mentioned in this article. Tina Chrismore is a news junkie, a lover of theater, and pop culture. She cares about many issues including, the environment and climate change, public education, separation of church and state, poverty, equality and voter rights. She is roommate to Minnie, the sweetest Chihuahua in Manhattan. By day, she works as a public high school librarian in The Bronx, trying to make a difference in the lives of young people.